We’re back in our library. 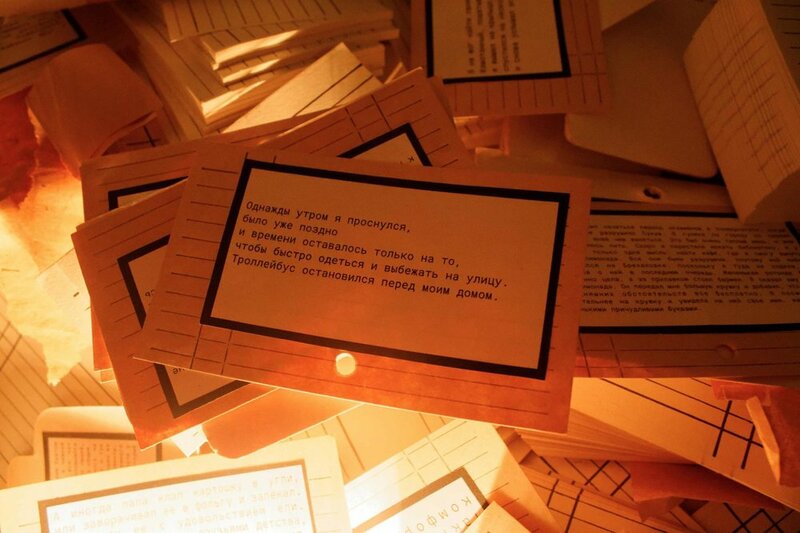 Memory, Untitled is an interactive installation inspired by and dedicated to the lost archives of Abkhazia. A metaphoric reconstruction of an archival space, it incorporates memories submitted by locals through an open call, historical video, audio and photographic footage as well as dreams I wrote relating to events and places from Abkhaz history. 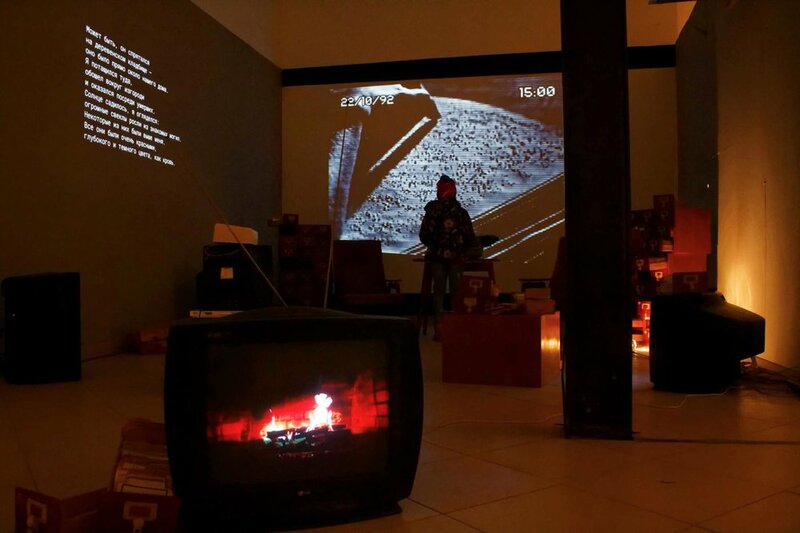 Underlined by a multi-layered soundtrack, this complex material is dispersed between two screens, three monitors, shelves and disused library catalogue cards and card holders; the different methods of classification and presentation echo the multiplicity of voices and material found in any archive. The space thus created is both intimate and universal, comforting and troubling — allowing the visitors to explore it freely depending on their own interests and rhythm. 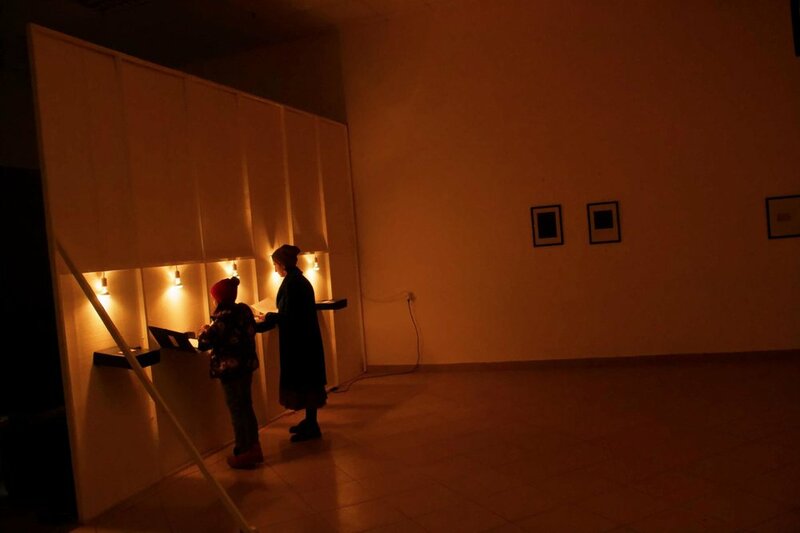 Based on impressions and interviews made during a research trip in summer 2015, Memory, Untitled is the first participatory artwork to be ever presented in Abkhazia. As such, it hopes to function both as a memorial for the lost archives and as an invitation for locals to consider the modalities of keeping and presenting collective memory. A re-enactment of the archival gesture, the work beckons the visitors to become active participants in re- imagining and re-creating their own archives. Memory, Untitled was presented for the launch of SKLAD AIR, the first residency program in Abkhazia hosted by SKLAD - the only cultural initiative in Abkhazia promoting contemporary art and international collaborations. An in-depth presentation of the work can be found here.